The Broad Foundation is a national philanthropic organization that seeks to dramatically transform public education in America. Among their various approaches is the Broad Prize, which celebrates school districts that demonstrate significant movement toward a better school system. The prize attracts national attention. Previous winners include the Charlotte-Mecklenburg school system, Gwinnet schools in Georgia and Aldine Independent School District outside of Houston, Texas. Broad captured my attention last week when they announced the first ever Broad Prize for Charter Schools at the 2012 National Charter School Association Conference in Minneapolis. Among the nominees for the prize were charter management organizations like Aspire Public Schools and Achievement First, both organizations making dramatic changes in providing excellent educational choices for students. YES Prep Public Schools, a charter network of 10 campuses in Houston serving nearly 6,000 students that requires all students to gain admission to a four-year college or university, won the inaugural prize. Full disclosure, I worked as a teacher and district leader at YES Prep for nearly seven years and am happy to have contributed just a small amount to their award. First, much of the country has tinkered with charter schools for 20 or so years. Only recently has the movement to expand charters been validated from state and municipal governments, think tanks, departments of education and organizations like Broad. In the longer view of history, this award makes a bold statement about the value of charter school networks in offering excellent school options for students. Charters are no longer the renegade alternative, but an equally viable option for schooling. This is important for students in Tennessee. The political willingness to expand charter schools in the state will allow parents and students to become savvy consumers of educational options where at one time there was no choice. Secondly, Tennessee is the benefactor of the same ardent leadership that led YES Prep to earn this award. YES Prep’s founder and former chief, Chris Barbic, now heads Tennessee’s Achievement School District that will move the bottom 5 percent of schools to the top 25 percent in Tennessee within 5 years. YES Prep is one of the most progressive charter networks in the country, and under Barbic’s leadership, the organization has sent 100 percent of its graduating seniors to four-year colleges and universities. Barbic understands what is possible in public education. Finally, Tennessee is on the verge of something special. Educational transformation is a priority in our state. Whether in the governor’s office, the commissioner’s office or the district offices around the state, Tennessee is quickly becoming one of the most forward-thinking states in the country in its work to create great schools with great teachers. I wouldn’t be surprised if a few years from now, both traditional and charter districts across the state were competing for such distinctions as the Broad Prize. What YES Prep has done for students in Houston has set an example of what is possible in public education. We congratulate them for their award and look to them to learn more about how we create similar results on a state-wide scale. 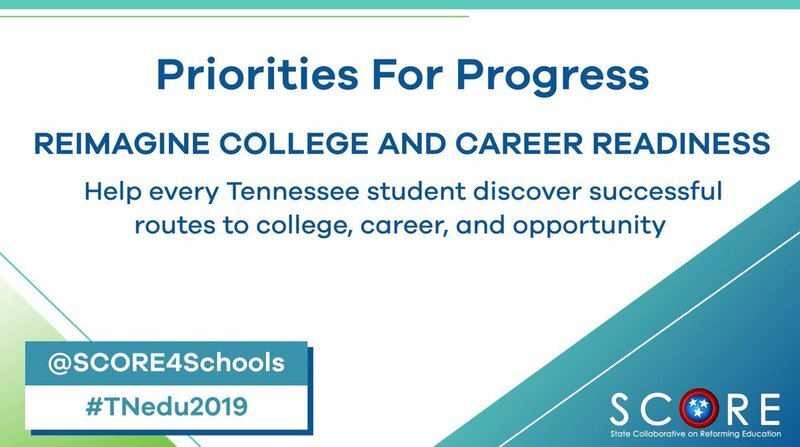 It is time for us to create similar models that dramatically expand the educational opportunities for students in Tennessee.